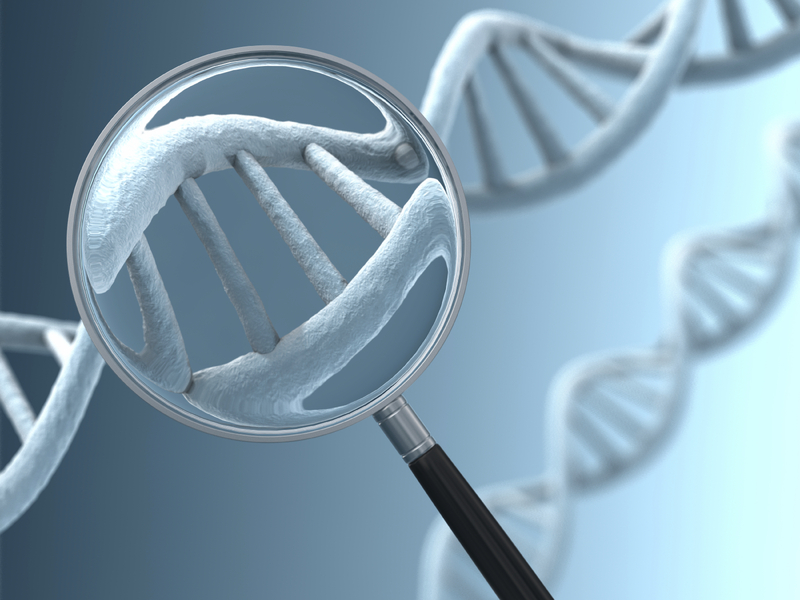 Genetic screening for cancer has gotten a lot of traction in the news lately. Everyone has been affected by cancer in one way or another and most people just want to know if there is a way to prevent it. Cancer can often feel like a ticking time bomb. Inevitable. What kind will you get? How bad will it be? Will you need chemo? Surgery? Radiation? Many women have heard of the BRCA1 or BRCA2 gene and that, if present, it can indicate a predisposition and increased likelihood of getting breast or ovarian cancer. But, are there other kinds of genetic testing for different cancers and, if so, who is should be getting tested? Genetic testing may sound scary and invasive but genetic testing can be incredibly beneficial. The National Cancer Institute explains what genetic testing is, “Genetic testing looks for specific inherited changes (mutations) in a person’s chromosomes, genes, or proteins. Genetic mutations can have harmful, beneficial, neutral (no effect), or uncertain effects on health. Mutations that are harmful may increase a person’s chance, or risk, of developing a disease such as cancer. Overall, inherited mutations are thought to play a role in about 5 to 10 percent of all cancers. Cancer can sometimes appear to “run in families” even if it is not caused by an inherited mutation. For example, a shared environment or lifestyle, such as tobacco use, can cause similar cancers to develop among family members. However, certain patterns—such as the types of cancer that develop, other non-cancer conditions that are seen, and the ages at which cancer typically develops—may suggest the presence of a hereditary cancer syndrome. The genetic mutations that cause many of the known hereditary cancer syndromes have been identified, and genetic testing can confirm whether a condition is, indeed, the result of an inherited syndrome. Genetic testing is also done to determine whether family members without obvious illness have inherited the same mutation as a family member who is known to carry a cancer-associated mutation. Inherited genetic mutations can increase a person’s risk of developing cancer through a variety of mechanisms, depending on the function of the gene. Mutations in genes that control cell growth and the repair of damaged DNA are particularly likely to be associated with increased cancer risk.” What if you get tested screened for a genetic predisposition for cancer and it comes out positive? Do you need to take immediate action? There are a lot of factors to consider and it is something that should be discussed with your physician but a genetic predisposition is not a guarantee that you will get cancer. In fact, you may never get cancer at all. A presdisposition is just an increased likelihood of getting certain kinds of cancer. In some cases, the percent of increase can be significant, such as an 80% increased chance of getting cancer. If you have a strong family history of a certain kind of cancer that may be what leads you t genetic testing in the first place. And, if you test positive for a certain genetic mutation, that knowledge, coupled with a strong family history, may significantly inform your treatment protocol going forward. Genetic screening is as simple as getting your blood drawn but the results can be far from simple. For this reason it is important to consult a genetic counselor about results, as well as your physician and trusted family or friends to help you determine what the best next step is for you.